Welcome to Sweden 2008 (30.3 - 6.4) and the 37th Eurovision Sports winter-games! 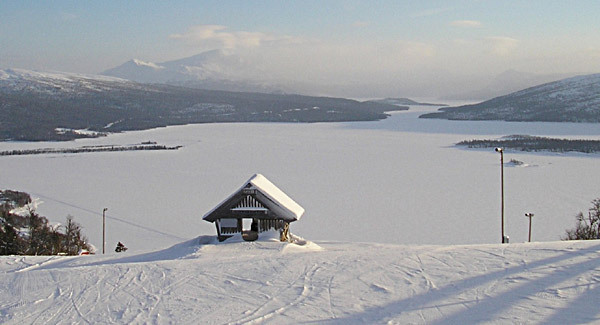 Held in Lapland at the world-famous alpine village of Tärnaby. Here, the World Champions, Olympic Champions and World Cup Champions, Ingemar Stenmark and Anja Pärson laid the foundation of their success in the alpine world. Tärnaby is situated in one of Europe's greatest nature reserves. The village with its surroundings is a paradise for people who love adventure and activities or just snow, sun and magnificent nature! Tärnaby dominates of two well-prepared and superb ski slopes, The Ingemar Slope and The Anja Slope. These slopes are where the Eurovision Sports 2008 competitions will take place. Tärnaby is a small village of about 600 inhabitants, but it is quite long and beautifully situated along the lake Gäutan. The people in the village are diligent skiers and whole families like to spend a lot of time in the meandering slopes and tracks. The hotel area is surrounded by the ski slopes. You just put the skies on at the doorstep of the ski storeroom and within seconds you are at the lift station to the Anja Slope from where you easily find your way to the other slopes. Even the ski tracks are nearby, just some two kilometres (1.24 miles) away. You will reach the competition area via a track starting at the hotel. ES 2008 will take place 30.3 - 6.4. Please note that this time the ES-week starts on Sunday and ends on Sunday. We will have the Tärnaby Fjällhotell and the ski lodges belonging to the hotel at our disposal, all within a radius of about 200 meters. The rooms in the hotel and the ski lodges are rustic and well adapted to their purpose to serve skiers. All guests have access to ski storerooms nearby their rooms/ski lodges. Breakfast and dinner will be served at the hotel. All rooms have en-suite bathroom and TV. The hotel houses a restaurant, a bar, lounge areas, an office for ES2008 and rooms for delegate meetings. Moreover, you can enjoy the top floor big-size sauna with its 360 degrees panoramic view. A bright two-storey cabin with nice old features. Lovely lounge areas with a fully equipped kitchen. The cabin houses a sauna in the basement. Some rooms share a bathroom in the hall. Ski storeroom in the basement. The bottom floors of the houses consist of small apartments for 2 persons. The upper floors dispose of larger apartments with big bedrooms suitable for 2-3 people. All apartments have bathroom, terrace, a lounge area with kitchenette, drying cabinet and ski storeroom. 5 800 - 6 700 SEK for accommodation (half pension). Additional cost for single room. The price also includes a ski pass giving access to slopes in Tärnaby and Hemavan as well as the ski shuttle between the two resorts (20km). 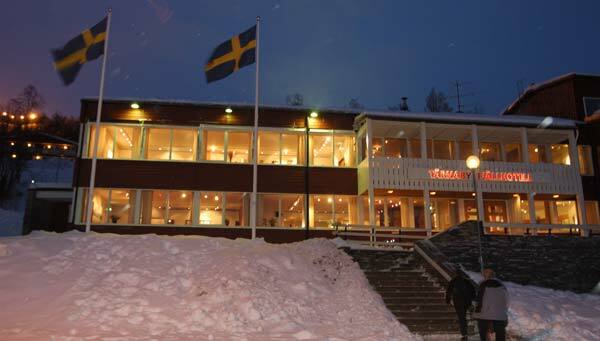 The sports club Tärna IK Fjällvinden are responsible for the competition arrangements. IK Fjällvinden was founded 1928 (80 years next year) and has comprehensive experience in organizing large competitions. IK Fjällvinden is by far the most successful ski-club in the world with for example 132 number of wins in the World Cup. Well known alpine skiers as Bengt-Erik Grahn, Bengt Fjällberg, Stig Strand, Ingemar Stenmark, Anja Pärson and Jens Byggmark are members of the ski club. 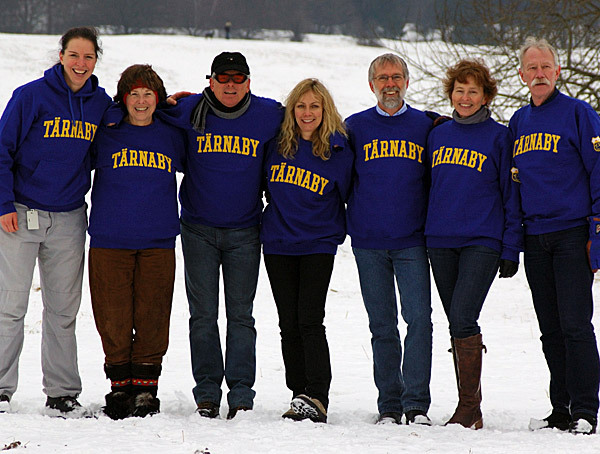 If all the gold medals, won by the club members in national and international championships, will be given to the inhabitants of Tärnaby every fourth person will be the owner of a gold medal. By car - European Highway E45 from Gela (Sicilien) via Bologna, Innsbruck, München, Hannover, Hamburg, Århus, Ålborg, Göteborg, Karlstad, Östersund to Storuman. From there you take the European Highway E12 (The Blue Highway) to Tärnaby. Please contact the organization committee on es2008@svt.se if you need advice about flight connection in Stockholm and/or with bus transfer. The charge for the ES-week in Tärnaby will be about 5.500 SEK - 6.800 SEK depending on your choice of accommodation (hotel/ski lodges). Extra fee will bee charged for single room. The ski passes incl. the ski bus to Hemavan (20 km) and the ski slopes there. Ski-shops with ski rental are available in the village. One is situated in the hotel-building. See you 2008 in the lights of the Northern Lights!